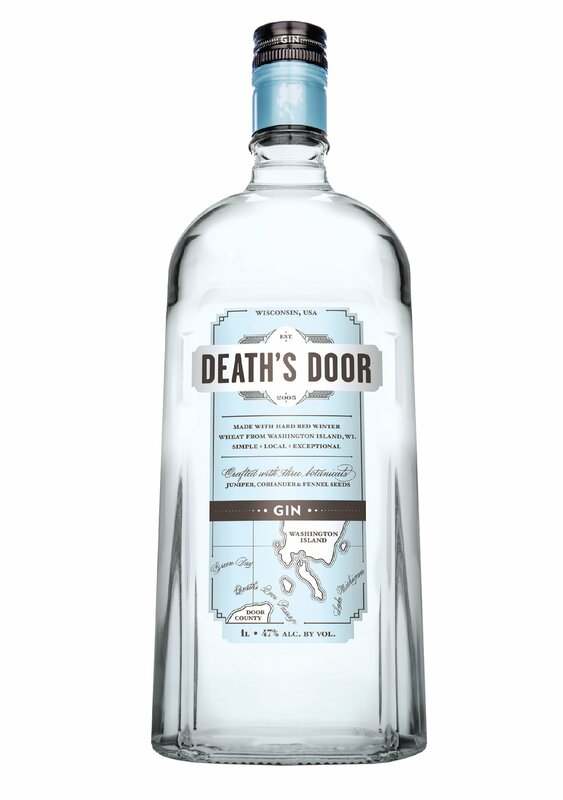 Death’s Door Gin has a full London Dry flavour without all of the bitterness because of our extraction process our fantastic base spirit. You can taste all three botanicals: loaded juniper berries up front; spicy citrusy notes from the coriander seeds in the mid-palate; and a soft cooling finish provided by the fennel seeds. A bold flavoursome gin; which is big enough to stand up to classic or vintage cocktail treatment but soft enough to be enjoyed on the rocks or as a dry martini. It truly is the “utility” gin of our time. Inspired by the ‘Death’s Door Passageway’ Death’s Door Spirits is committed to working with local farmers to create truly exceptional spirits. Wheat grown on Washington Island is at the heart of everything that Death’s Door Spirits produce. The name ‘Death’s Door’ comes from the stretch of water that the wheat must cross on its way from the fields of Washington Island to the distillery in Madison Wisconsin. Death’s Door Spirits started as an economic development project which aimed to reinvigorate agriculture on Washington Island. The success has seen the area of wheat grown on land which previously lay fallow rise from the initial 5 acres to almost 1000 acres now!